Peugeot says the SR1 reveals stylistic trends for future models. 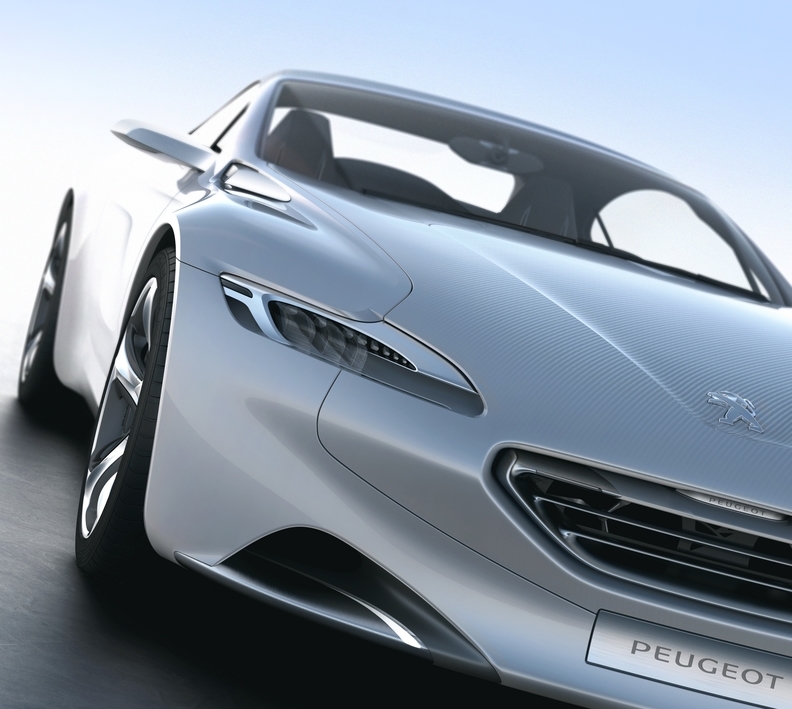 MUNICH -- Peugeot will unveil a sports car concept at the Geneva auto show in March that previews the French brand's new design language. Called the SR1, the two-door hardtop has a sleek appearance that highlights a lighter, more elegant look for future Peugeot cars. The concept's front-end is less aggressive than the “big cat” look of current Peugeots with a much smaller grille than on existing models. The concept has a full hybrid powertrain that will be offered on future Peugeots starting in 2011 with the 3008 crossover. The SR1's 218-hp, 1.6-liter gasoline engine is twinned to a 70kW (95hp) rear-wheel electric motor. Average fuel consumption is 4.9 liters per 100km with CO2 emissions of 119 grams per kilometer. The SR1's narrower headlamps and smaller, recessed grille will give future Peugeots a less aggressive look.